* photo courtesy of my favourite skate shop, Rollergirl.ca! I’ll admit it – sometimes you frustrate me. When you refuse to fit into those trendy, skinny jeans that all the unathletic girls are wearing. When said skinny jeans in your size can only be pulled up to about knee height. When the version 2 sizes bigger, with some elaborate changing-room gymnastics, makes it past your thighs, only to leave a gap in the waistband that I could wedge a set of knee pads into! When you produce a muffin top over the tops of boots, because your calf muscles are too giant (really? are they that giant? or is ‘average’ really that small?). You frustrate me when one side of my shorts rides up more than the other, because you’re so uneven from always turning left. You exasperate me when, despite the fact that I exercise you at least 5 days most weeks, you stubbornly refuse to start looking like the legs of Naomi Campbell. But most times, Derby Legs, you’re pretty great. You stride around the track, letting me know you’re there with a low heat. Asphalt rattles up through my wheels into your muscles, tendons and bones. You power through, propelling me forward with every drive. You pull back, powering me into a hit, stopping a jammer against my wall. You push, propelling me forward on my toe stops, muscling the defense forward and out of play. You jump and deek, suddenly light as air when I need you to be. 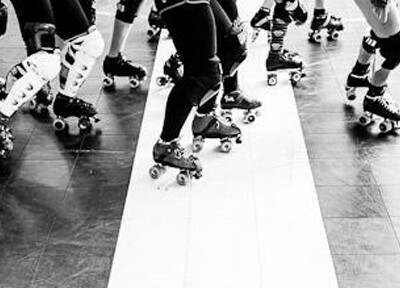 You look frighteningly huge when you want to – your widest stance covering half the track, forcing the jammer into a bad decision. 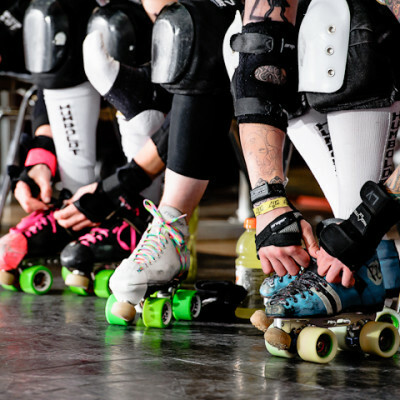 You become one element – skates and legs together – operating without thought or effort. So who cares if you fail to achieve ITC (inner thigh clearance)? Your strength, your capability – these are lovable things. Your power and capacity triumph over your lack of fashion compliance! (let’s be honest, I mostly wear tights and sweatpants anyway, right?) I love how you make me feel – invincible, a warrior, a force. I’m sorry for ever doubting you, and for failing to moisturise as often as you deserve. 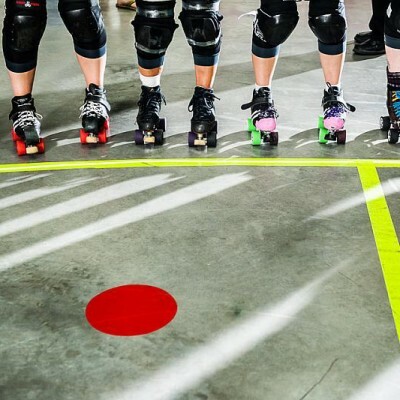 This Valentine’s Day, I want to tell the whole world: I love you, Derby Legs! Be my Valentine, and let’s never let each other down! Sophia cut jeans by Lucky brand, especially if your shorter.